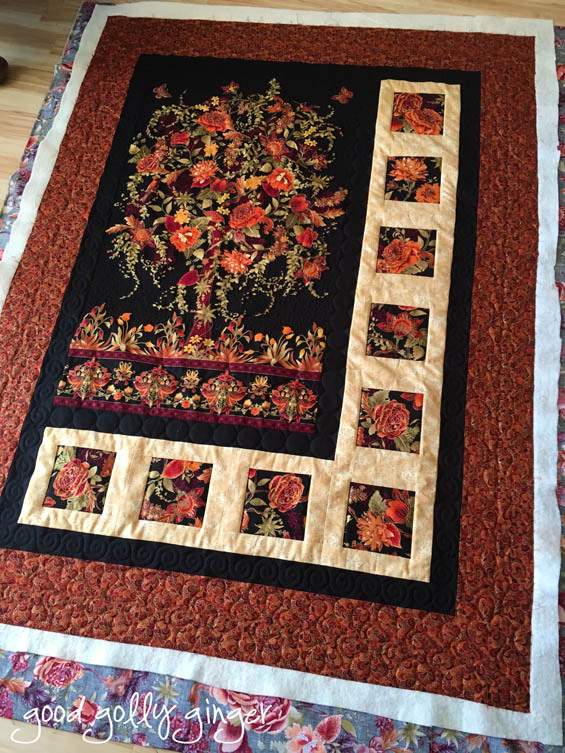 Look at these gorgeous appliqué quilts by Jennifer. 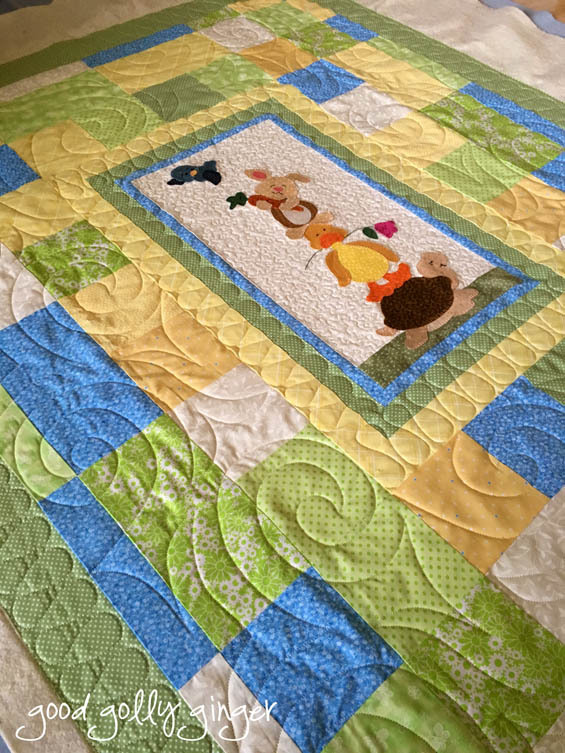 I had the pleasure of custom quilting these three wonderful baby quilts and one wall hanging. Prepare yourself for adorableness...a duck holding a tulip! 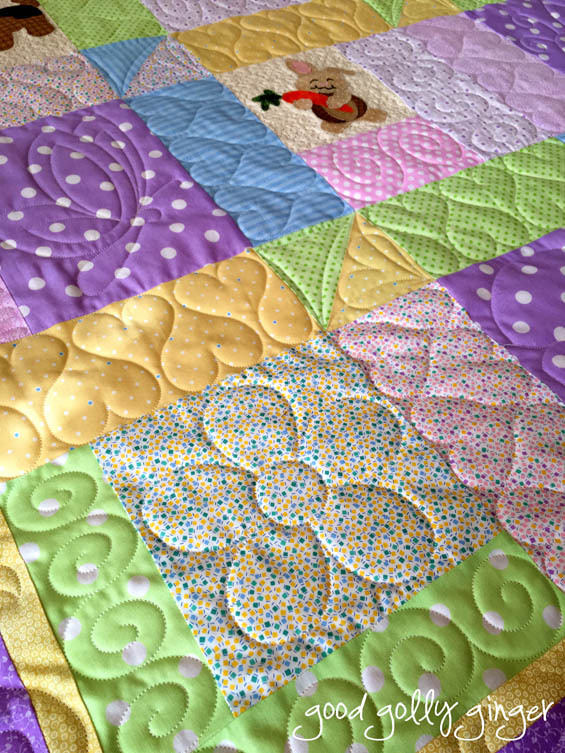 In the squares, I added more quilty goodness like a butterfly, ladybug, bumble bee, and flowers. Oh, I love that sweet baby animal pyramid. Maybe it does with a toad sitting on a toadstool. So cute. 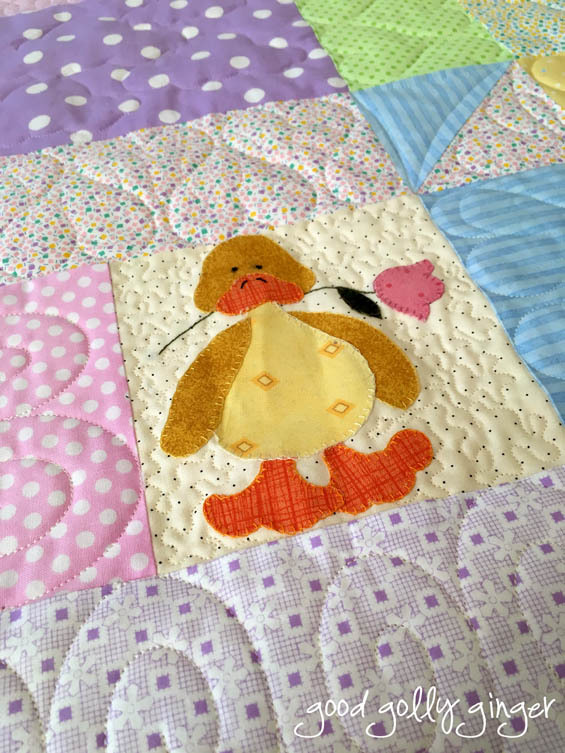 I had a ton of fun quilting these for Jennifer. She did fabulous appliqué work. 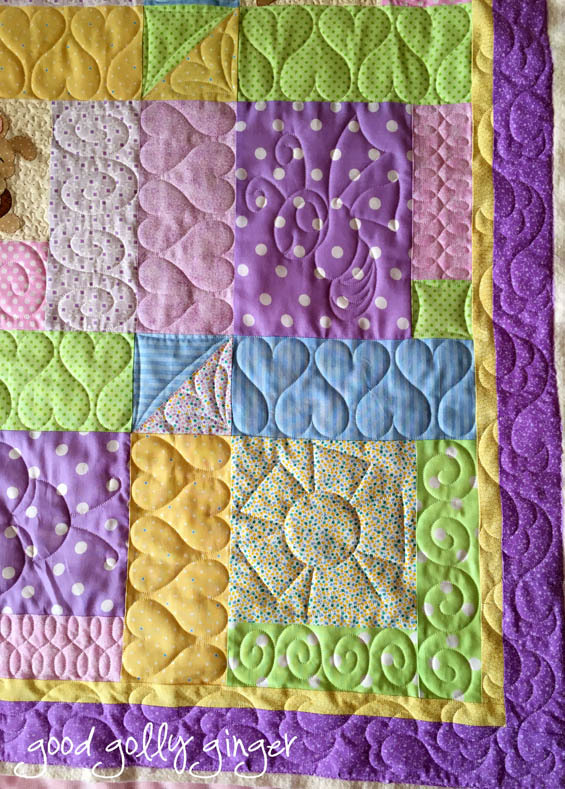 A minky backing always makes custom quilting pop. 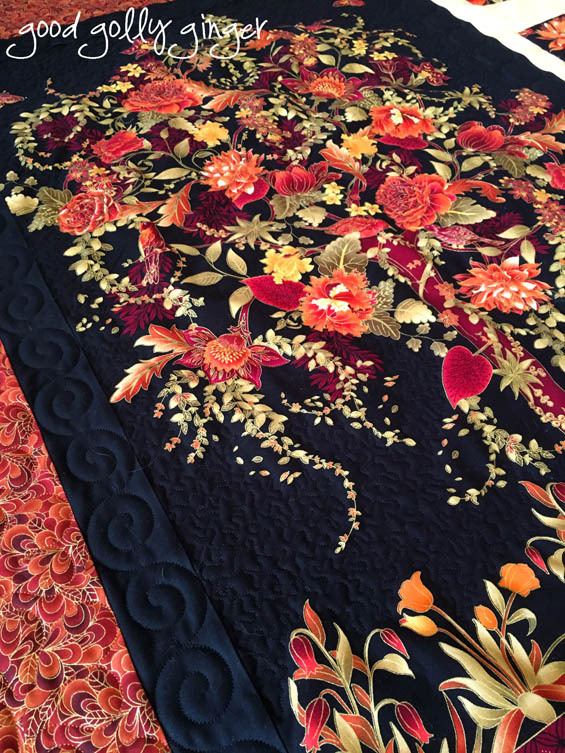 The next quilt isn't appliqué, but it is a beautiful Asian-inspired panel. 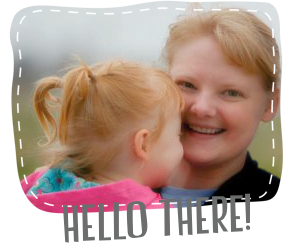 I love how this one turned out too. 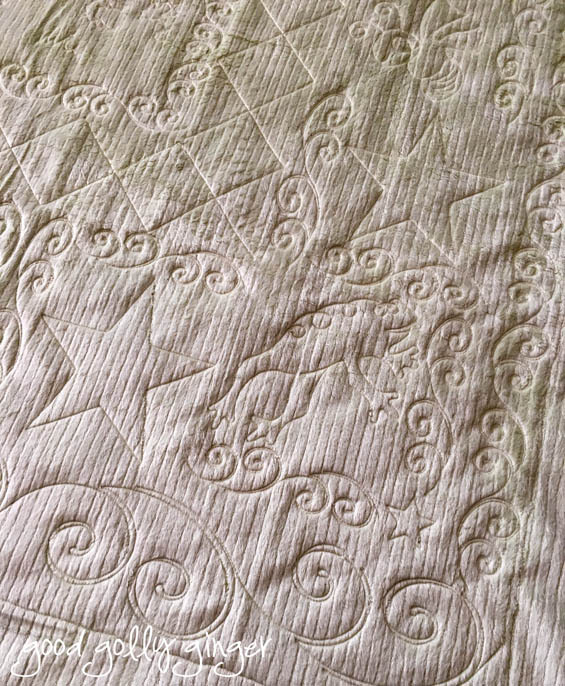 Thank you so much for letting me quilt for you, Jennifer. It was such a pleasure. I so admire your work. 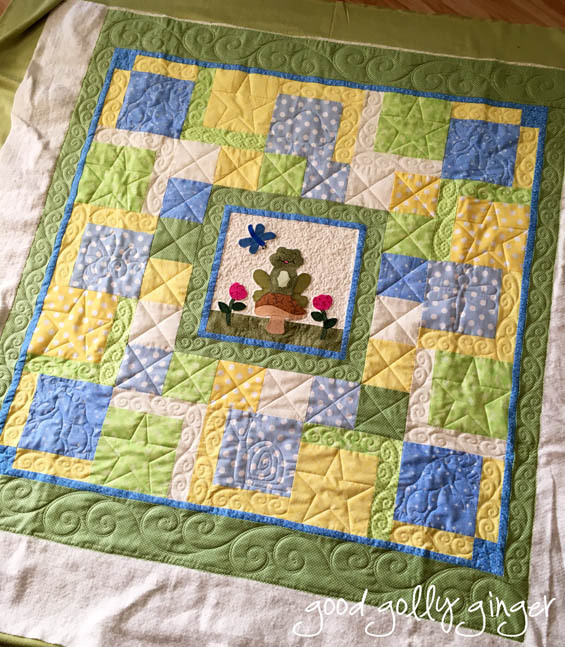 Those applique quilts come to life with your custom touches. It's your work that has me seriously considering upgrading to a computerized machine. It's such a big investment, but I'm going to really look at those machines at the Houston Quilt Fest because I'd love to do what you do. Gorgeous!